These are easy to use and a great daycare option! After many requests, we are now offering BumGenius Freetimes in packages. This package is for a 6 pack of BumGenius Freetime Diapers. Because you are purchasing 6 diapers, you will receive a $1.46/per diaper volume discount. 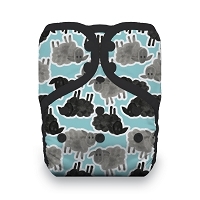 The soft, waterproof outer fabric keeps the diaper trim on your newborn and toddler. 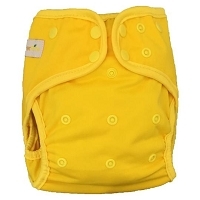 Soft, suedecloth inner fabric gently wicks moisture away from your baby's skin. Super stretchy, gentle leg and back elastic with rolled out casings keeps the yuk in and help to keep red marks away. Pre-wash cold. Wash hot (100F/40C) with detergent. Feel confident in your purchase! 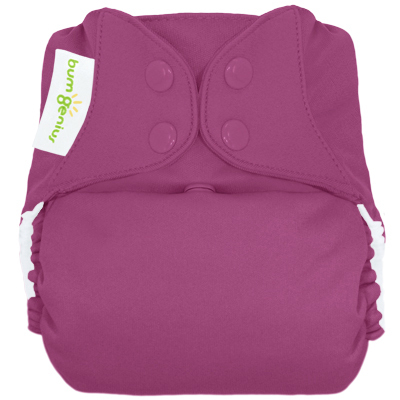 The Cotton Babies Satisfaction Guarantee gives you 30 days to evaluate your purchase of most bumGenius, Flip or Econobum products. Designed by a mom and conscientiously manufactured in the USA or Egypt. US Pat # 7,629,501. Other US and International patents pending. *Please note: the manufacturer of BumGenius will not allow us to ship their products outside the United States. All international orders will be refunded. Diaper Rite 3.1 One Size Diaper Cover - Free Prefold with each DR cover ordered! No code needed! While supplies last.